China is a tricky country when it comes to choosing a VPN but one thing is certain, a VPN is critical. 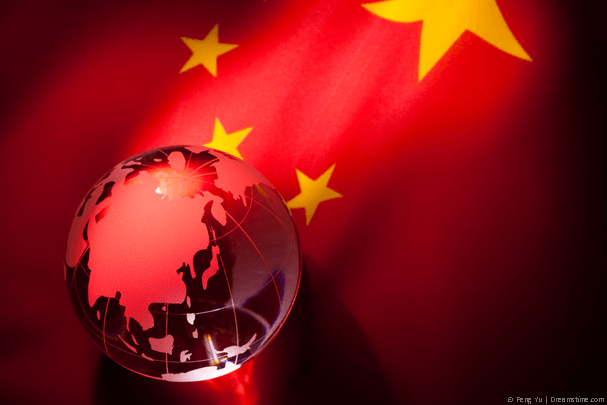 We’ve been testing a range of VPN services for use in China to find out which is the best. It’s important to consult updated information when choosing a VPN provider for China because the landscape changes regularly. Providers that worked in 2017 do not necessarily work in 2018. That’s why we’ve put together this Best VPN for China 2018 guide so you can be sure the VPN service you sign up to is working to the best of its ability on the Chinese mainland. All that’s left for you to do is choose one of the five providers below and sign-up to enjoy a restriction free internet access in China. VPN.ac is without a doubt the Best VPN for use in China in 2018. We tested their service in Shenzhen and Beijing and had no problems with connection at all. Speeds were favourable for China when using the Hong Kong based VPN servers. We especially liked the fact VPN.ac is geared up towards Chinese VPN use. There is a special server list just for users in China and a special URL to access the VPN.ac website if you’re already in China and need to sign-up for their service. Payment is possible via Alipay and UnionPay plus most other international payment services such as Paypal, Credit Card and even a host of crypto-currencies. VPN.ac is lesser known than other providers which may seem like a negative but the less the Chinese authorities know about a VPN provider the less likely they’re able to block it. 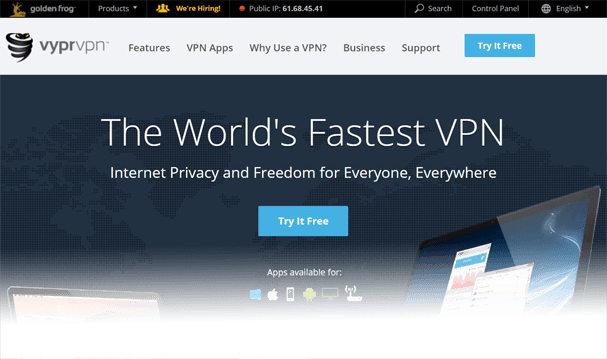 VyprVPN is one of the best VPN options for use in China due to their special connection modes. The service offers a VPN protocol called Chameleon which is based on OpenVPN but has disguised headers. This is excellent for use in China because the great firewall of China is unable to determine you’re using a VPN so is unable to block you. Payment is accepted via Alipay alongside a range of other standard international payments so you can pay for the service either inside China or outside before you travel there. We really love the fact VyprVPN give you a 3-day trial to test the service without payment. You will need to enter your payment details but if it doesn’t work for you then you can simply cancel and no money will be taken. The VyprVPN apps are really easy to use and you can download the Android app directly without needing to access the Google Play store. ExpressVPN is also one of the top-rated VPN services to use in China. In our own tests we found them to be reliable and pretty fast by Chinese VPN standards. There are also numerous good reports around the web with other users making use of the service in China. Without a doubt one of the best features of ExpressVPN is they allow you to test the service for 30-days with a money back guarantee. This is an excellent feature to have when using in China because it means if the service stops working or you struggle to get good speed you can just get a full refund. There’s also the widest range of VPN servers around the world available on the service, more than most other providers. Servers are available in over 94 countries giving you plenty of connection options. Apps are available for Android and iOS devices, Windows and Mac computers and even Linux. If you’re looking for the Best VPN for China in 2018 then it will have been almost impossible to avoid the name Astrill. Astrill is basically the godfather of VPN services when it comes to a VPN for use in China. This can be both a blessing and a curse. On one hand, Astrill is popular for use in China because it works and when they do get blocked they work hard to bypass the block quickly and efficiently. On the other hand, this can be a negative of the service. As they’re well-known in China it means they’re top of the list to get blocked and while they do work well, you may experience a bit of downtime every now and again when authorities roll out a new round of blocks. The service can be paid for using UnionPay, Alipay and even Wechat pay so there are plenty of local Chinese payment options. On top it can also be paid for using the standard credit card, Paypal, Bitcoin, Perfect Money and bank transfer. NordVPN is one of the leading VPN providers worldwide so it’s good news that they’re now working from within China. It’s easiest to use NordVPN on a Windows PC because there’s a specific mode for Chinese users which is available in the Settings section of the software. You’ll need to enable Obfuscated servers and use them to have any chance of beating the Chinese firewall. It’s possible to download the NordVPN Android apk directly from their website so you won’t need to worry about not being able to access it on the Google Play store in China. The iOS app is reported as not working in China, however with VPN apps not being available on the Apple store anyway it would be difficult to install without jailbreaking your iPhone and a bit of trickery. There’s a 30-day money back guarantee that will let you test the service first so you can see it working in China. If you’re unhappy you can simply get a refund. Consult an updated guide, consult an updated guide, consult an updated guide. If there is one piece of advice you should take heed of when searching for the Best VPN for China, it is to consult an updated guide. The landscape on Chinese VPN services changes regularly and VPN services that were working in 2016 or even as recently as 2017 quite possibly don’t work at all in 2018. We’re keeping this guide updated throughout 2018 to make sure it’s current and the providers are still relevant for use in China. All you need to do is choose one of the five above and sign up. Unfortunately the answer to this question is, none. VPN services on a whole are not reliable in China so basically you should count yourself lucky that you find one that works, let alone one that works at peak performance. While we aren’t suggesting you accept a service that barely works and has speed so slow it’s unusable, we are recommending that a VPN service that works 90% of the time and has acceptable speeds for browsing the web is one that should be considered a good choice in China. As the Chinese regime cracks down on VPN services even more in 2018 it’s important to remember that you’re incredibly lucky to be able to access blocked sites with a VPN so don’t be overly demanding. If you’re planning on using a VPN on your iPhone in China and you’re currently outside China then it’s highly recommended to pre-install the VPN app before you travel to China. VPN apps are mostly removed from the Apple App store in China which makes it almost impossible to install one if you’re currently in China. It may be possible to install a VPN manually on an iPhone or iPad but it’s outside the scope of this article and you should consult the VPN service you wish to use before signing up. The easiest devices to use a VPN on in China are those running Android or Windows. Even if you can’t access the Google Play store on your Android device most good VPN services will allow you to download the Android app directly to your phone and install outside of the app store. Windows is equally as easy and the recommended providers above mostly have special features to enable on the Windows software which will help you bypass the Great Firewall of China. VPN services are flaky at best when used in China. For this reason we recommend you sign up on a monthly basis. While most good VPN services will attempt to beat blocks if their service happens to become blocked it may be the case that it’s out of action for weeks or even months if they can’t successfully bypass the blocks. Paying on a monthly basis is the most expensive method of signing up for a VPN service. However, if you pay for a yearly service and it becomes blocked after 1-month then you’ll have lost money on the remaining 11-months. Even our top recommended provider VPN.ac themselves recommend you only sign up on a monthly basis because they can’t guarantee accessibility. Finding a VPN that works in China, let alone the best is incredibly difficult. We’ve done the hard work for you and tested some of the best VPN services to bring you the Top 5 choices for use in China. We recommend using VPN.ac because their service offers some of the best speeds and consistent access in China. However all five VPN services will be suitable for use. We’ll be keeping this guide updated throughout 2018 so if any developments occur or providers stop working we’ll be able to keep you informed.